Find out more about the Lorex 4K Ultra HD 8MP Nocturnal IP Camera with Audio with pricing, features and FAQs. The Lorex 4K Ultra HD 8MP Nocturnal IP Camera with Audio is a Lorex security camera with audio features and a weatherproof housing. 111° FOV for monitoring wide, open areas. 275 ft. night vision range. Pros: 111° field of view. Night vision up to 350 feet. Cons: Cannot be adjusted remotely. Bottomline: An easy-to-use, powerful security camera with a durable exterior. 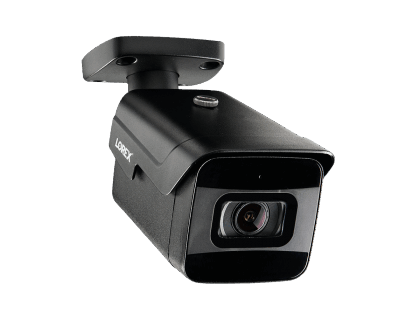 What are some alternatives to the Lorex 4K Ultra HD 8MP Nocturnal IP Camera with Audio? Where can I buy the Lorex 4K Ultra HD 8MP Nocturnal IP Camera with Audio security camera system? The Lorex 4K Ultra HD 8MP Nocturnal IP Camera with Audio is available on Amazon, or on the Lorex website. Does the Lorex 4K Ultra HD 8MP Nocturnal IP Camera with Audio work at night? The camera is equipped with night vision that can see up to 275 feet. Can the Lorex 4K Ultra HD 8MP Nocturnal IP Camera with Audio be used in any weather? The Lorex 4K Ultra HD 8MP Nocturnal IP Camera is designed for indoor and outdoor use and has a tough exterior that protects it from the elements.